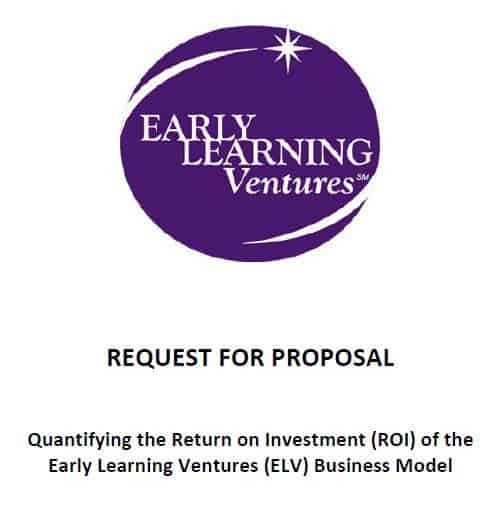 Early Learning Ventures (ELV) has issued a request for proposals (RFP) for qualified individuals or firms to conduct a return on investment study of the ELV model. Interested parties are encouraged to read through the RFP and submit their proposal by the August 12th deadline. The full RFP can be found here.